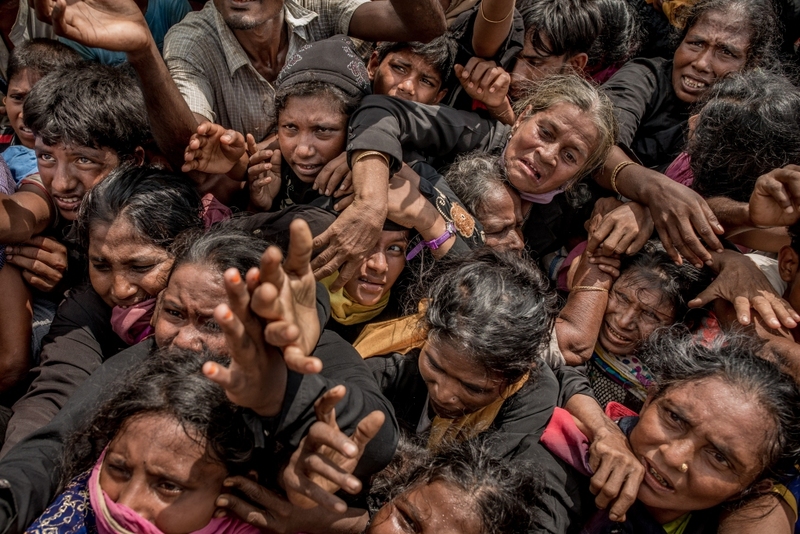 People's Choice Photo Award Winner: Unwanted in Myanmar, Unwelcome in Bangladesh, by Fred Dufour, AFP. 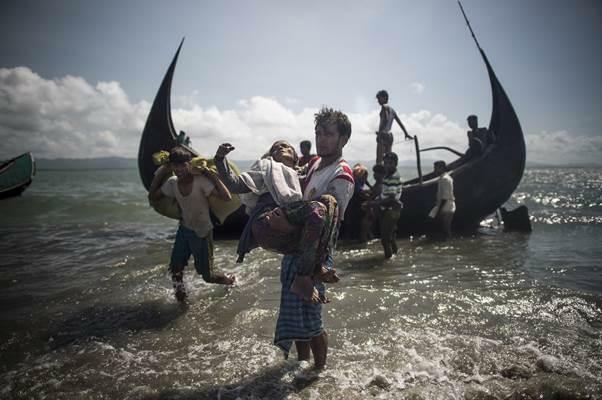 A Bangladeshi man helps Rohingya Muslim refugees to disembark from a boat on the Bangladeshi shoreline of the Naf river after crossing the border from Myanmar. 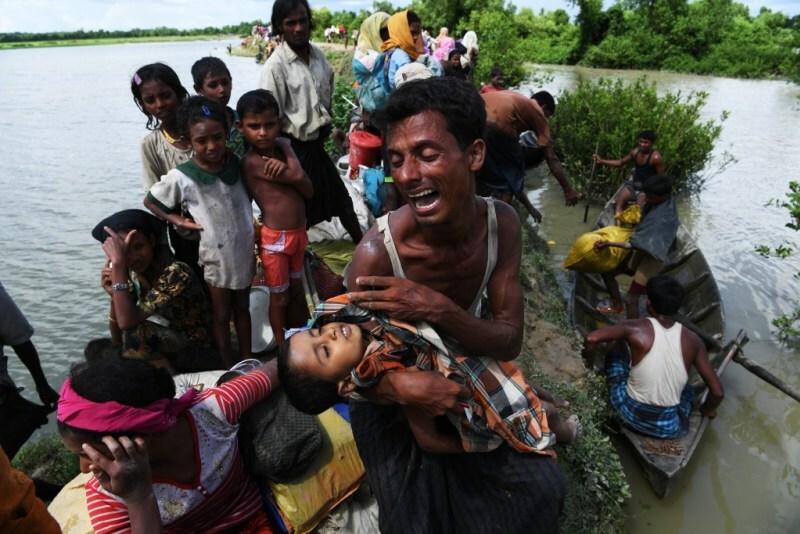 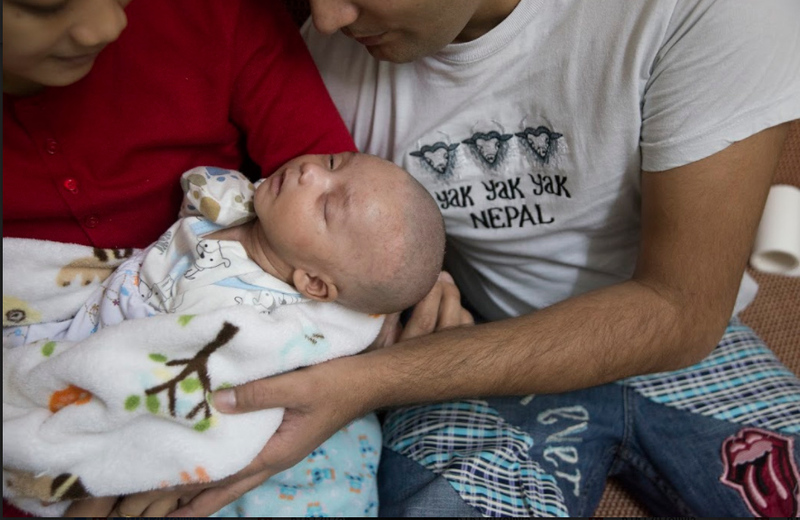 Winner, Photography - Spot News (English): Staring at death by Indranil Mukherjee of AFP.